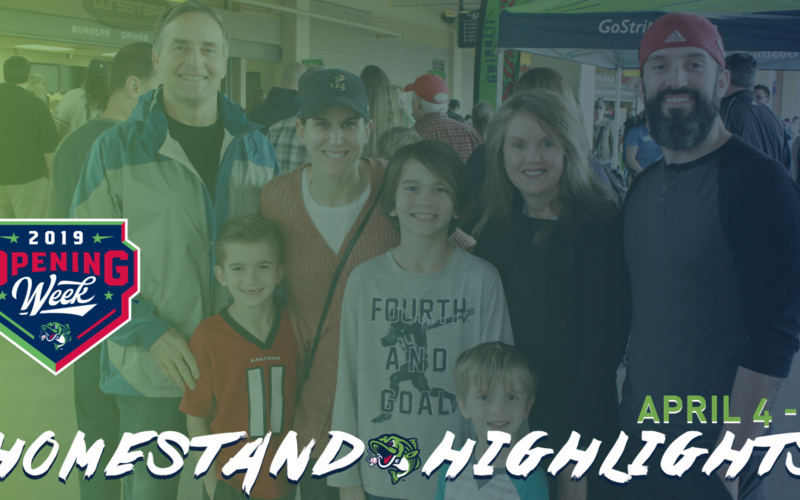 The Gwinnett Stripers open the 2019 season with a six-game homestand filled with exciting promotions. The Stripers will host the Norfolk Tides (Baltimore Orioles) for four games from April 4-7 and the Durham Bulls (Tampa Bay Rays) for two games from April 8-9. The homestand includes Opening Night festivities on April 4, Mardi Gras Night featuring a pregame Crawfish Boil and postgame Fireworks on April 5, a Bobby Cox Hall of Fame Jersey Giveaway as part of his International League Hall of Fame induction on April 6, and much more. Game Time: First pitch is at 6:05 p.m. Coolray Field gates will open at 5:00 p.m.
Game Time: First pitch is at 1:05 p.m. Coolray Field gates will open at 12:00 p.m.
Tickets for all Gwinnett Stripers home games are on sale now at the Coolray Field Ticket Office and online at GoStripers.com/tickets. The Gwinnett Stripers are the Triple-A International League affiliate of the Atlanta Braves, playing their 11th season at Coolray Field in Lawrenceville, Ga. For tickets, team merchandise or more information, visit GoStripers.com. Follow the Stripers on Facebook, Twitter, and Instagram at GoStripers.